Jeremy Lynn, LLC is proud to be an authorized dealer of Norseman Structures. Norseman has been manufacturing and selling building enclosure systems since the 1960s and is a major supplier of fabric buildings. The absence of internal pillars or posts allows for maximum use of space. The high ceilings allow you ample clearance for moving or storing large equipment. Fabric buildings typically require less lead and construction time than conventional construction, getting you up and running faster. Total project costs, including construction, can be significantly less than prefabricated steel or wood structures particularly in clear-span applications. The fabric covers are virtually maintenance free. They do not trap dust or dirt and do not require painting or shingling to maintain their clean appearance. Which fabric building is right for you and your business? Trust in our buildings to protect your most valued assets and give you year-round peace of mind. With your commodities, equipment and livestock in our care, you can focus on maximizing your profits and planning for the future. 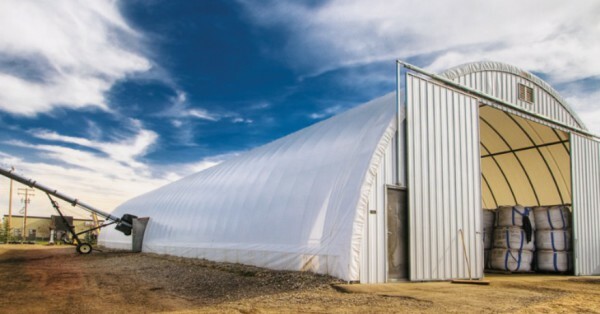 The QP-Series are quick-to-install, clear-span buildings designed for a variety of storage uses. 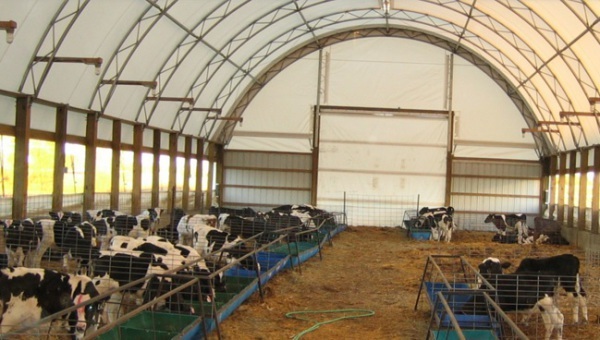 They provide a naturally bright environment and are a low maintenance option for agricultural, storage and inventory warehousing. The QL-Series truss arch design makes it the most robust model in the Utility line of buildings. The 5' integrated eave provides better protection of feed bunkers from the elements. 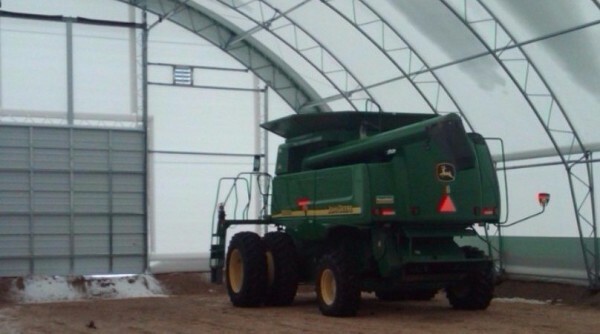 The A-Series building design is ideal for industrial and agriculture storage. The 6' and 8' leg extension option allows for increased clearance and storage capacity. Deeper truss depth results in fewer trusses for reduced labor, installation and shipping costs. The H-Series building line is designed for agriculture storage and light industrial use where an economical building solution is important.